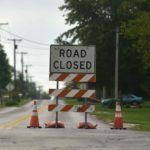 The Allen County Engineer’s Office is responsible for the maintenance of Allen County’s local highway system, which includes 352 miles of county roads, 550 miles of township roads. The County Engineer is also responsible for the inspection, maintenance and replacement of 378 bridges and over 1,400 culverts of various sizes located throughout the county. 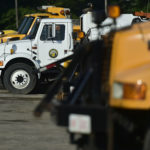 To maintain this complex system, the County Engineer works in cooperation with the 12 townships to help perform roadside mowing, snow plowing, drainage improvements and road maintenance. Brion E. Rhodes, P.E., P.S. 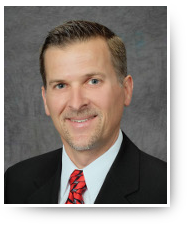 Brion is a graduate of the Ohio Northern University and is both a registered professional engineer and a registered professional surveyor. He has been with the Allen County Engineer’s Office since 1997 and became the Bridge Engineer in 1999 and held that position for 16 years. In 2009, he was awarded…..
County Employee of the Year by the County Engineers Association of Ohio (CEAO). In that same year, he was also promoted to Chief Deputy Engineer and has served in that capacity until August 2015, when Brion was appointed as the Allen County Engineer. As the Allen County Engineer, Brion administers all aspects of design, construction and repair of our local roads, bridges and culverts here in Allen County. Allen County has an area of 405 square miles and a population of 106,331 (2010 census). 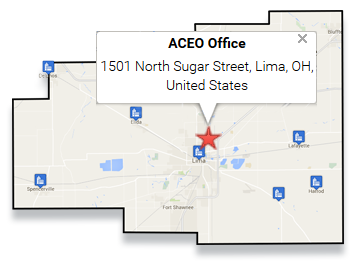 The county seat is Lima, Ohio, which lies in the center of the county. The intersection at Shawnee & Ft Amanda Road handles over 14,000 vehicles per day making it the busiest intersection under the Allen County Engineer’s responsibility. With all the traffic congestion and since it was our #1 crash location for 3 consecutive years, this intersection has remained one of our top priorities. To solve these issues, the roundabout design was chosen because it provides a safer and more efficient way to handle traffic compared to conventional intersections.